Iran has lost its point man in Lebanon and Syria. Prominent Iranian clerics, military commanders and politicians led mourners at his mid-day funeral at a mosque in north Tehran today. Fars said Shateri was a veteran of the 1980s Iran-Iraq war, and served in Afghanistan before going to Lebanon. 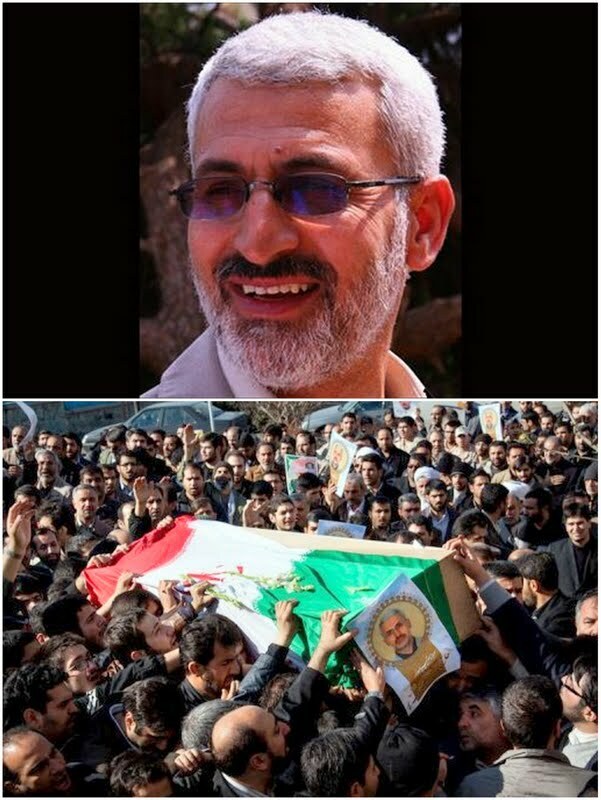 He is to be buried Friday in his hometown of Semnan, some 150 kilometers east of Tehran. In Lebanon, Shateri posed as “Hessam Khoshnevis,” head of an Iranian agency set up to help rebuild Hezbollah-controlled areas devastated by the 2006 war with Israel. A commander of Syrian opposition forces battling President Bashar al-Assad said the rebel fighters carried out the attack near the Syrian town of Zabadani, a few miles from the Lebanese border. Damascus receives extended military and intelligence assistance from Iran and Hezbollah as part of the effort to keep Assad in power. The Syrian Observatory for Human Rights said Shateri was shot dead by rebels while heading to Lebanon from the Syrian capital. "We do not know exactly where he was shot, but we do know that a rebel group ambushed his vehicle while en route from Damascus to Beirut," Britain-based Observatory director Rami Abdel-Rahman told AFP. The Iranian embassy in Beirut said "armed terrorists" killed a man it identified as “Hessam Khoshnevis,” adding that he had been involved in reconstruction work in Lebanon. The embassy named him as "Hassan Shateri, also known as Hessam Khoshnevis". It said he was in charge of the Iranian Committee for the Reconstruction of Lebanon set up after the 2006 Israel-Hezbollah war. Protesters in Lebanon are meanwhile continuing to block the northern border crossing with Syria to stop diesel fuel shipments they say are being used to resupply Assad’s military. 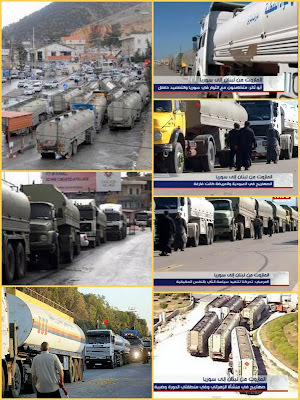 Around 30 tanker trucks carrying fuel from refineries in Tripoli and Zahrani were forced to stop on the Lebanese side of the Arida border crossing between the two countries. A written statement by the Free Syrian Army (FSA) Wednesday appealed to Lebanese President Michel Suleiman to stop fuel shipments to Assad forces. FSA spokesperson Louay al-Mokdad later told MTV channel the Unified Judicial Council of the Revolution in Damascus has issued an arrest warrant against Lebanese Prime Minister Najib Mikati, his brother Taha and his nephew Azmi for their alleged role in resupplying Assad’s military with Lebanese fuel.